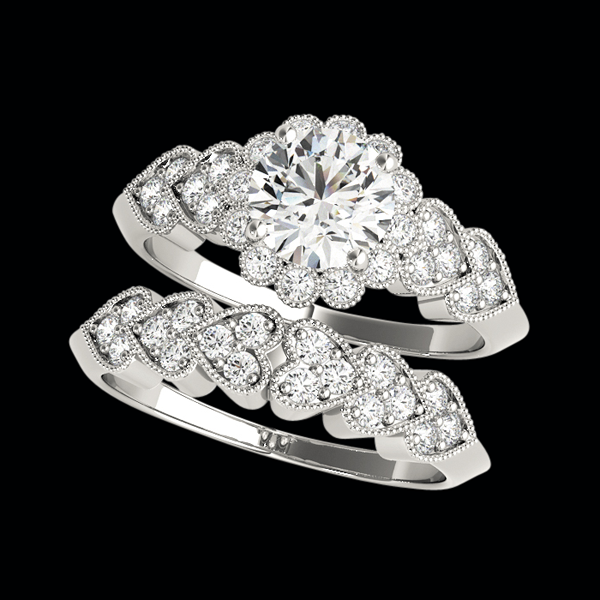 Platinum Heart and Halo diamond semi mount. This loving design features milgrain border hearts shapes set with accent diamonds and a milgrain design Halo surrounding the center (1 carat shown) diamond. 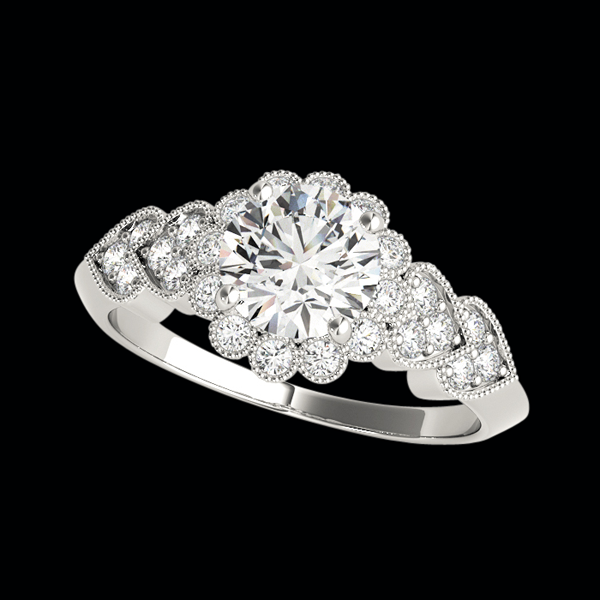 We have hundreds of vibrant incredible quality diamonds that would be perfect in this ring. Diamond total 1/6ctw before the center diamond (not included). Diamonds are available in different qualities price shown if for SI 1-2 clarity G-H color. Email requests@platinumonly.com for additional pricing and matching band pricing.